A number of years ago I became acquainted with a cousin. I know that sounds strange but we moved from Pennsylvania to the west coast when I was five. I didn't grow up with cousins around me even though my parents both came from very large families. I must qualify that...some of my dad's brothers and sisters moved to the west coast also, so I did see cousins from Dad's side of the family, occasionally. Linda and I bumped into one another on the internet! You see we both love genealogy and found one another on a message board researching the same family....and the emails started. We have researched together for many years now. She is a wonderful researcher and problem solver. I am so blessed to have found her and have her in my life. 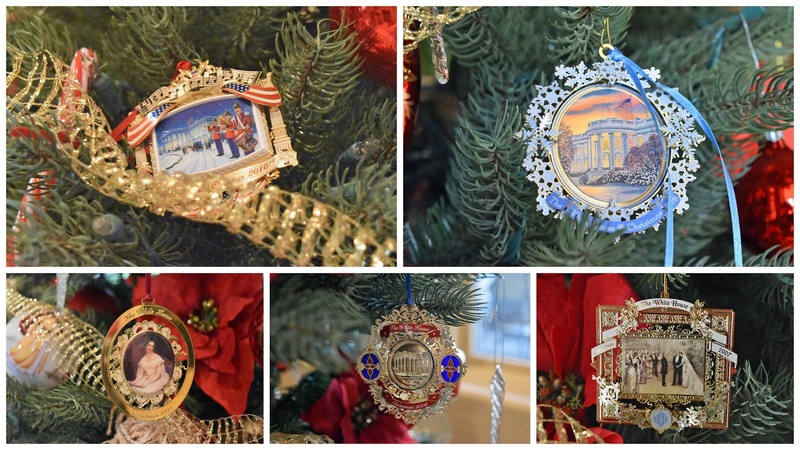 She acquainted me with the White House Christmas Ornaments and I love them. Each December she sends me the White House ornament for the year. It has been a fun adventure. I enjoy reading the history behind the ornament as each one is unique and has its own story. I look forward to the package and adding a new ornament and piece of history to our Christmas tree. I would love to share each ornament and the story behind it with you but decided it would be a very long post....so I will share pictures of some of the ornaments and the story for one. 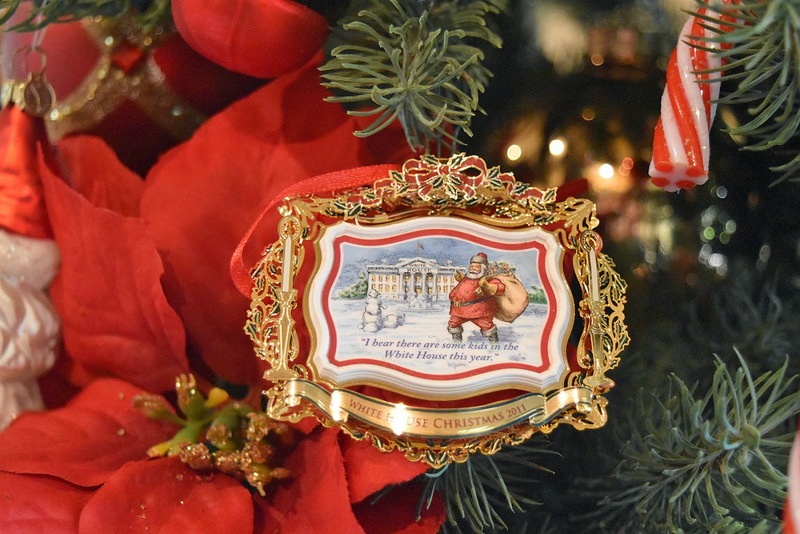 The 2011 ornament honors the administration of Theodore Roosevelt, the twenty-sixth president of the United States. Santa crossing the White House lawn exclaims, "I hear there are kids in the White House this year." This was the first time since the departure of Grover Cleveland in 1897. 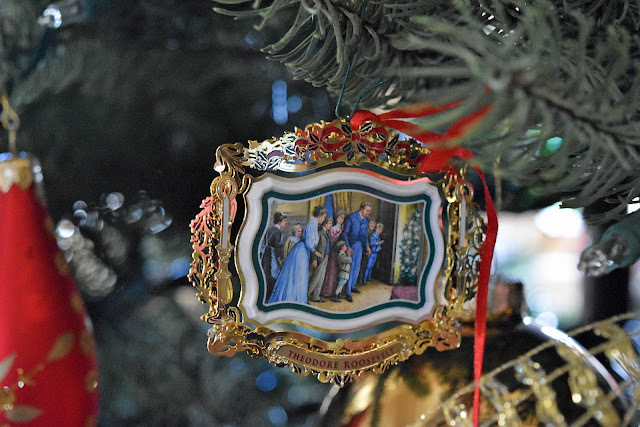 The backside of the 2011 ornament depicts a 1903 illustration of the moment President Roosevelt's son, Archie, revealed to his family the Christmas tree that he had hidden in the seamstress’s closet. The tree defied the president’s ban. 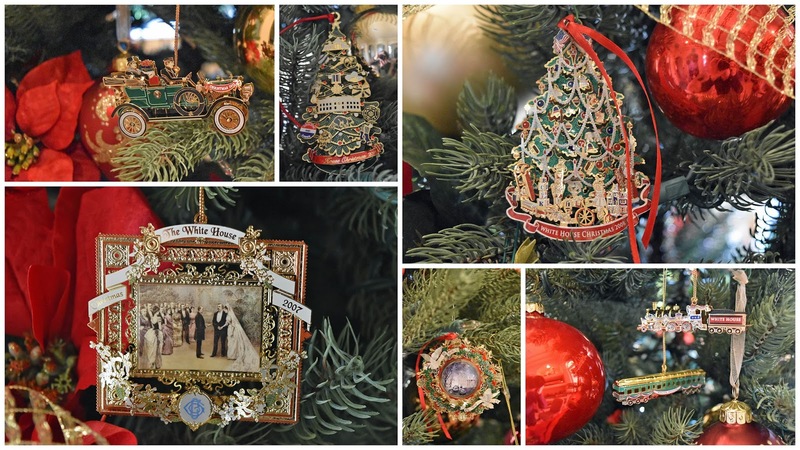 The picture highlights the simplicity of the Roosevelt family Christmas decorations and the president’s conservation ethic. Linda tells me that the 2016 ornament is on its way! For now, I am sharing ornaments from 2006 through 2015 and one special ornament that is a miniature of Julia Gardiner Tyler. This miniature is in honor of the portrait Julia gifted to the White House. It marks the beginning of the comprehensive collection of portraits of the First Ladies. 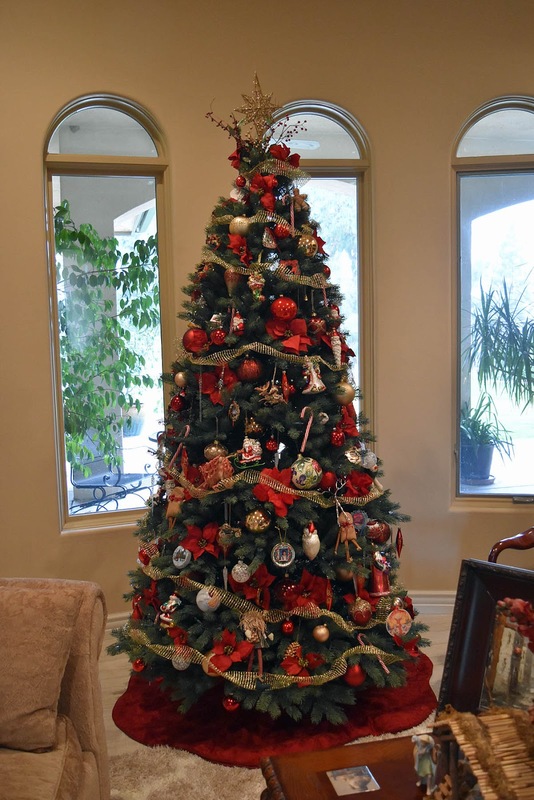 Thank you, Linda, for generously sending ornaments each year. It is fun to have a Christmas ornament collection that celebrates the season and shares our country's history at the same time! What a great collection. I received one as a gift one year and didn't think to keep the tradition going. How nice that you have such a special tree thanks to your cousin. Wishing you all the best in this New Year.